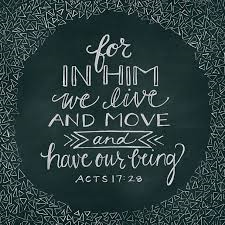 In Whom We Live and Move and Have Our Being! 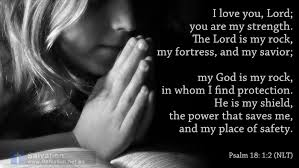 Ps 18:2 The LORD is my rock, and my fortress, and my deliverer; my God, my strength, in whom I will trust; my buckler, and the horn of my salvation, and my high tower. 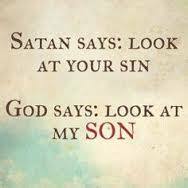 Mt 3:17 And lo a voice from heaven, saying, This is my beloved Son, in whom I am well pleased. Mt 12:18 Behold my servant, whom I have chosen; my beloved, in whom my soul is well pleased: I will put my spirit upon him, and he shall shew judgment to the Gentiles. Mt 17:5 While he yet spake, behold, a bright cloud overshadowed them: and behold a voice out of the cloud, which said, This is my beloved Son, in whom I am well pleased; hear ye him. Mr 1:11 And there came a voice from heaven, saying, Thou art my beloved Son, in whom I am well pleased. Because of Jesus, God has adopted you into His family. You are His child. Because of the blood of Jesus, you have complete and total access to the throne of God. May you hear in your heart, the same words Father God spoke of Jesus over 2000 years ago. Do it respectfully, humbly, with a good attitude. Remember, He is our Father, and He loves us! Yet, He loves to be trusted and believed! Any fire, passion and zeal you exhibit, needs to be against the world, the flesh and the devil, for God cannot lie, and He loves us! 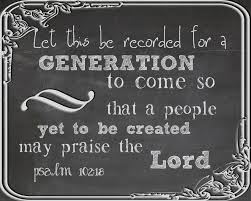 God is waiting to hear His word echoed out of the earth from and to heaven, that he may display His acts of power to this generation. When His word is spoken in authority here in the earth, He backs it up in power. Even angels listen for the Word of God given voice in the earth, for they are ministering spirits sent forth from God to minister for us, the promises of God. Ps 103:20 Bless the LORD, ye his angels, that excel in strength, that do his commandments, hearkening unto the voice of his word. Heb 1: 13 But to which of the angels said he at any time, Sit on my right hand, until I make thine enemies thy footstool? See it here, the divine connection. God pours out His Spirit upon us, and we prophesy (that is, speak His Word), He backs up His word with His power (which includes angels), as He shows forth wonders in heaven above, and signs here in the earth beneath, all for one main purpose, that many shall call on the name of the Lord, and be saved. In light of eternity, you are one of the redeemed, saved from death, hell and the grave. Yet you are also a child of destiny, called into God’s great redemptive plan to work with Him in the redemption of others. This will involve using His authority, granted to you through Christ, over the world, the flesh and the devil. Therefore it is essential child of God that you see yourself as you truly are in Him, that you can understand and exercise your rights and privileges as His royal heir. Let’s continue to look at your identity, in Him, by studying what the Word of God says of the following: In Him, In whom, and In Christ. Notice, here, that those people who are not born-again, are not in Him. They are literally found spiritually, in darkness. Satan is referred to as the god of this world, and he works through deception and lies. There is no power encounter required between God and the devil, rather it is a truth encounter that makes freedom available. This verse shows again how Satan, the father of lies works. Through thoughts, in the minds of people, he convinces them of the irrationality the simplicity of Jesus brings to any individual that simply believes. Ro 12:2 And be not conformed to this world: but be ye transformed by the renewing of your mind, that ye may prove what is that good, and acceptable, and perfect, will of God. 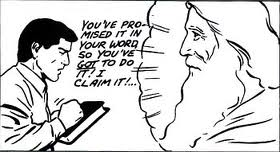 Let’s agree with the Word of God, revealed to us here. 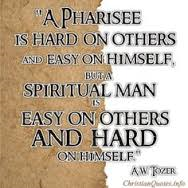 Eph 2:22 In whom ye also are builded together for an habitation of God through the Spirit. Pr 28:1 The wicked flee when no man pursueth: but the righteous are bold as a lion. 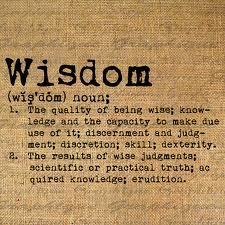 Col 2:3 In whom are hid all the treasures of wisdom and knowledge. Let’s pray, for in these verses are great provisions and change for your life. 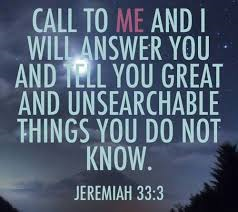 Joh 20:29 Jesus saith unto him, Thomas, because thou hast seen me, thou hast believed: blessed are they that have not seen, and yet have believed. Personal Promise Bible – Dr Jerry Savelle. Ge 18:18 Seeing that Abraham shall surely become a great and mighty nation, and all the nations of the earth shall be blessed in him? Declare: I believe that the blessing of Abraham is mine, and that all the nations of the earth, are being blessed, through me! Ps 2:12 Kiss the Son, lest he be angry, and ye perish from the way, when his wrath is kindled but a little. Blessed are all they that put their trust in him. Ps 18:30 As for God, his way is perfect: the word of the LORD is tried: he is a buckler to all those that trust in him. ‘Lord, I believe you are my buckler, because I trust in You! 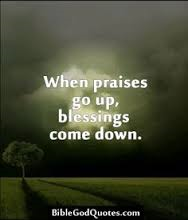 Ps 34:8 O taste and see that the LORD is good: blessed is the man that trusteth in him. Ps 37:5 Commit thy way unto the LORD; trust also in him; and he shall bring it to pass. Mt 14:2 And said unto his servants, This is John the Baptist; he is risen from the dead; and therefore mighty works do shew forth themselves in him. In this passage, people were wondering who Jesus was, for they had seen the presence of God at work in the ministry of John the Baptist, convicting of sin and calling people to repentance. Yet, for the sake of this study, I will use this text to assure you that our Lord Jesus is still a miracle man, God the Son, and mighty works still shew forth themselves in him. 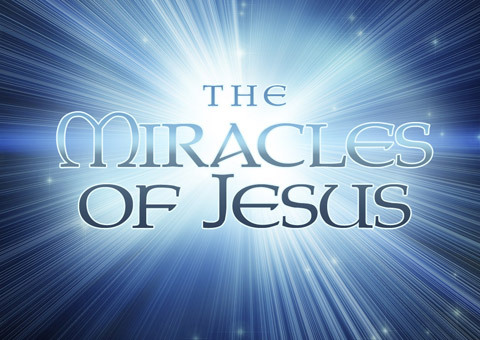 Everywhere Jesus went in His earthly ministry, miracles were wrought. You too are a son or daughter of God. Everywhere you go, miracles should be wrought. How? By faith, and by the operation of the Holy Spirit. The Holy Spirit, working in the earth, gives gifts to his church, nine in all. They are listed here. 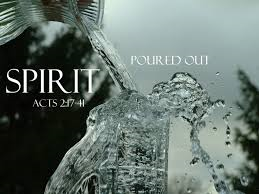 1 Cor 12:7 But the manifestation of the Spirit is given to every man to profit withal. The Scripture admonishes us to earnestly desire these gifts, while walking in the love of God. 1 Corinthians 12:31 But covet earnestly the best gifts: and yet shew I unto you a more excellent way. 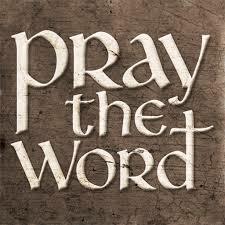 It must then, be a regular practice of every Christian to seek God for His spiritual gifts, to aid a hurting humanity. The working of miracles is one of these gifts. God wants to use you to heal the sick, divide the loaves and fishes, turn water into wine, whatever it takes to meet human need, and to both glorify Him and turn many to Him. 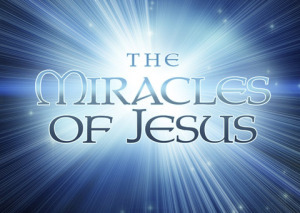 We have not, because we ask not, it is time to regularily ask God for miracles to abound in our daily lives. John 14:12 Verily, verily, I say unto you, He that believeth on me, the works that I do shall he do also; and greater works than these shall he do; because I go unto my Father. Go lay hands on some sick people, pray for someones finances, believe for a marriage to be restored, whatever He leads you to do, and see the awesome power of God displayed in your life. 2. 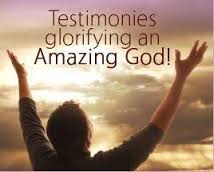 Testify over the remainder of how God is continuing to manifest miraculously through your life. 1 Corinthians 9:11 If we have sown [the seed of] spiritual good among you, [is it too] much if we reap from your material benefits? 1 Corinthians 9:14 [On the same principle] the Lord directed that those who publish the good news (the Gospel) should live (get their maintenance) by the Gospel. Paul goes on to say, that he did not use his position as a minister of the gospel to take up offerings, rather he worked, making tents, to support himself. You might notice here, that Paul was not married, nor did he have children. Family responsibilities take time, and just as you bust a move on your job to provide for your family, I work every bit as hard, doing this, faithful to the Lord in prayer and the ministry of His Word, to you. As you give, hear Holy Spirit what to give, and honestly expect God to reward you for your giving. Matt 10: 41 He who receives and welcomes and accepts a prophet because he is a prophet shall receive a prophet’s reward, and he who receives and welcomes and accepts a righteous man because he is a righteous man shall receive a righteous man’s reward. 42 And whoever gives to one of these little ones [in rank or influence] even a cup of cold water because he is My disciple, surely I declare to you, he shall not lose his reward. I am a five-fold ministry gift and office – this is my life – I pray, I hear, I write, and wonderful things happen. You have your job description, I have mine – this is mine…. I have ‘see through’ faith for you, in this: Gal 3: 9 So then they which be of faith are blessed with faithful Abraham. I believe I have a responsibility before God to be like Jesus, in every offering I receive. I receive it with thanksgiving, just like Jesus did the little boys lunch. It has been a joy to me, to see the hand of the living God act in the lives of those of you who have supported us this year! Many have seen tremendous blessing come into your households, and for this we give thanks, and give Jesus all the glory! You are Beautiful – Created in God's Image!